Really? 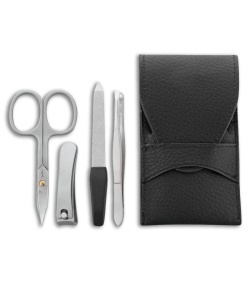 A manicure set? Yes really, we're not savages and neither are you. Keep your nails, beard, moustache or goatee trimmed and presentable with the Benchmark 5-Piece Manicure set. Made from stainless steel for durable, lasting tools.